using bank transfers instead of a credit card. You can transfer to other major services nationwide, like post offices, ATMs, and internet banking. Our system confirms payment information received from major financial institutions/post offices all over the country, in real time and automatically notifies the payment result. 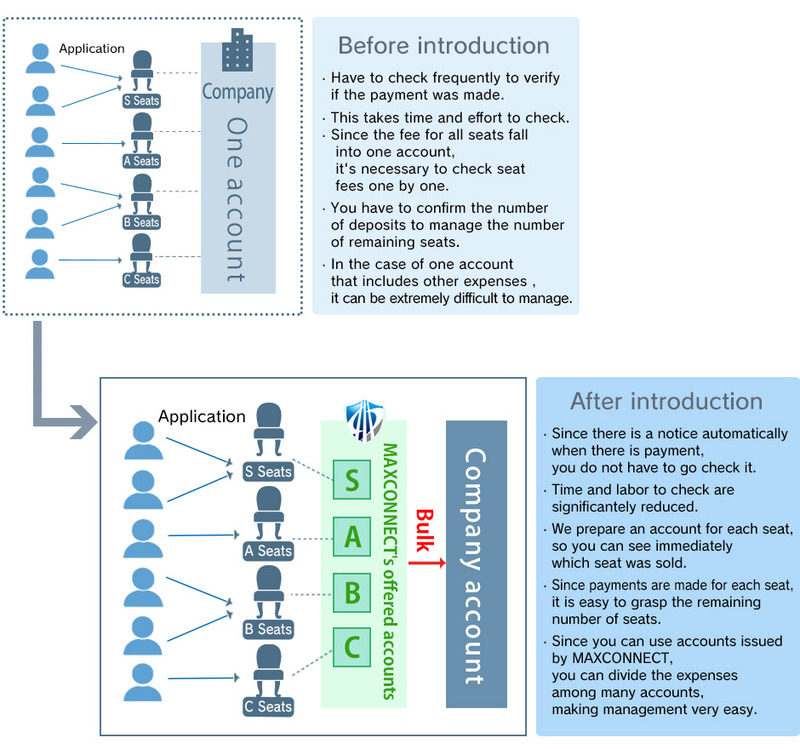 Account opening/contracts are unnecessary at each financial institution, also there is no need to build complicated systems, so our service can be introduced easily. This account can be easily seperated from the Merchant's main account and then managed easily. 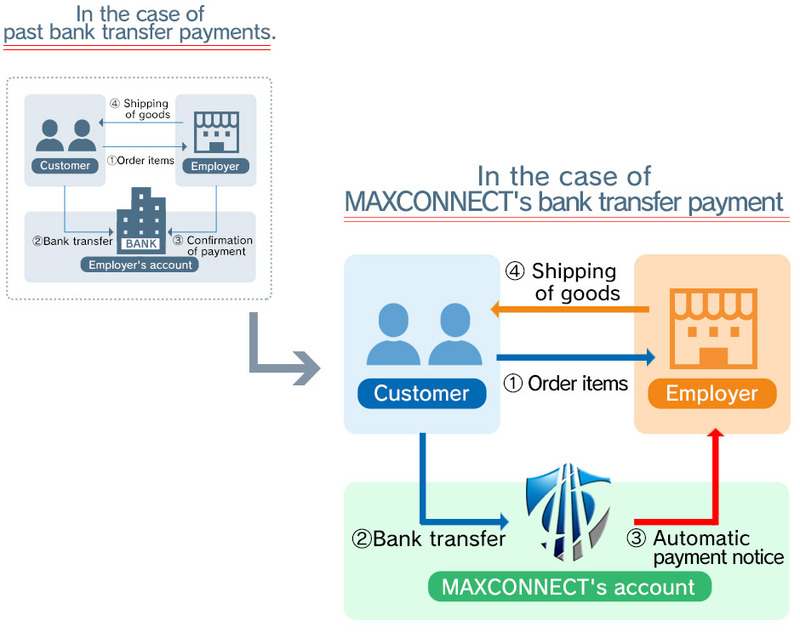 Since all settlement work regarding bank transfers will be handled by MAXCONNECT, this lessens the load on the Merchant. We will automatically send payment notifications to Merchants, this service will provide notifications at a considerably faster rate than traditional bank transfers. 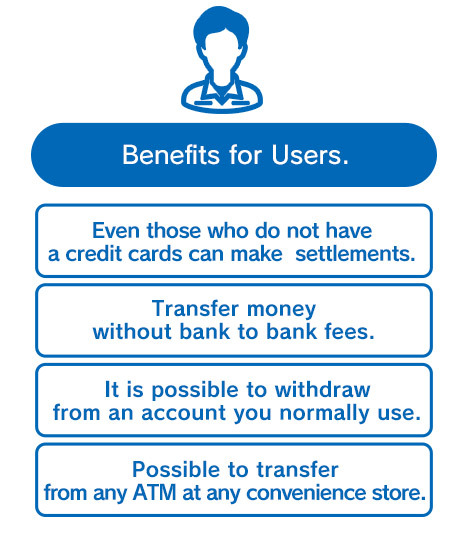 It is a system that can adapt to the needs of various customers, with this in mind payments from customers can be made at ATMs, PCs, smartphones, etc. 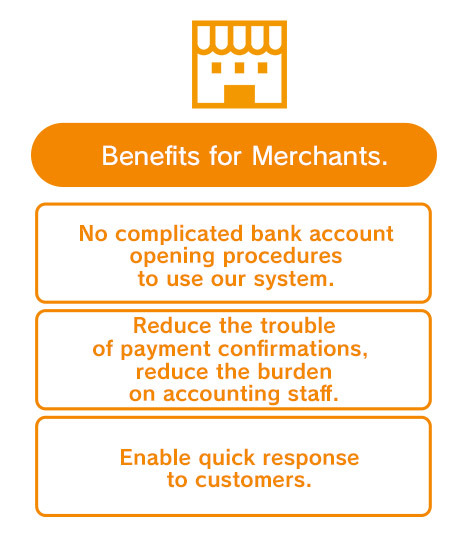 From the Merchant management screen, a Merchant can see payment status, payment schedule amount, and cleared statu; making daily sales management simple. Some people may find it difficult to understand the difference between our service and traditional bank transfer payments. So, I would like to explain how our bank transfer payment is specifically used. (1) We will provide multiple virtual account numbers to Merchants. (2) The Merchant issues invoices by providing one of these virtual account numbers to a customer or assigning to a transaction. (3) The customer will deposit the charge amount to the specified virtual account. The money deposited in the virtual account will from there be deposited in the acount specified by the Merchant. (4) Once the Merchant has obtained the payment, the account number and information the customer has used to make the settlement will be deleted. For example, if an event company sells four types of seats listed as S, A, B, C, and they are all paid by bank transfer to the same account, managing these becomes a bit of a nightmare. However, if you use MAXCONNECT's bank transfer service, we will provide an account for each seat type as shown on the right, making account management for this type of event considerably easier.